If we haven't fallen over the precipice already, we stand at the beginning of a new age in technology that's being called the Fourth Industrial Revolution. This new wave of technology will alter and drastically change the way we do everything, from work to play. And the wave is already crashing on the shoreline with speed, scope and global impact that's unprecedented in human history. In the manufacturing industry, we'll see changes like no other time period in history... and we've got to keep up or be left behind. Mechanization in the First Industrial Revolutin was made possible by the use of water and steam power to move equipment. Rather than raw manpower, this "liquid muscle" became the driver for hard labor, although a lot of human effort was still required. Electricity became the "prime mover" in the Second Industrial Revolution. Its invention and eventual taming allowed the first real assembly lines to function at optimal levels. Electric motors drove belts and conveyors, powering all types of mechanized equipment, and generally laid the foundation for mass production of all kinds of goods, from automobiles to zippers. In the Third Industrial Revolution — the one currently driving manufacturing — introduced automation, accomplished and powered by advanced electronics and information tech. Precision and advanced quality control are two of the benefits brought by the 3rd Revolution. However the Fourth Industrial Revolution, spawned by previous eras and newly emerging technologies, promises productivity with the potential to change the global economy according to many economists. 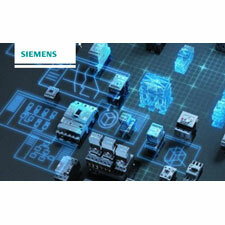 Automation is now enhanced further by digitalization. Indeed, IoT (the Internet of Things) has affected the way manufacturing is done... and that's just one technological advancement. From massive, complex systems right down to the smallest component (the start button, perchance), every part of the manufacturing process finds a place in the vast intelligent network, akin to the human nervous system. Communication to the nth degree is possible as the Fourth Revolution gains momentum and propels us into manufacturing spaces where, to quote a popular science fiction franchise, no one has gone before. It's already here. And though advanced automation controls, you can be there on the cutting edge... and beyond.